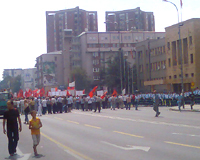 A few thousand members and supporters of the BDI-PPD coalition held an hour-long protest in front of the Macedonian Assembly at the time when mandatary Nikola Gruevski addressed the parliamentarians. The citizens protested because BDI and PPD were not invited to join the new Government. •Parliament to vote on new Government. 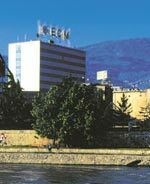 •Macedonia officially member of CEFTA as of Thursday. The parliamentary majority and the opposition agreed yesterday that the assembly session for election of the new Government should end the latest by 24:00 tomorrow. The coordinators of the VMRO-DPMNE, SDSM, PDSH, NSDP, and VMRO-NP parliamentary groups made this gentleman's agreement at yesterday's coordination with Assembly Chairman Ljubisa Georgievski. •45th edition of the cultural manifestation "Struga Evenings of Poetry" opens today. •No Macedonian citizens were injured in the large fire that broke out in Halkidiki, Greece, on Monday. Although dissatisfied with the decision of the Regulatory Commission for Energy for the price of electricity to be increased by only 9.14 percent, ESM Distribution will not file charges against the same, as was unofficially announced over the last few days. Improvement of the living standard, increase of employment, intensified fight against corruption, development of democracy, improvement of the interethnic relations, political stability, and integration into the EU and NATO will be the main aims of the new Macedonian Government over the next four years, states the program that mandatary Nikola Gruevski submitted to the Assembly. The parliamentarians will debate on this program on Friday. 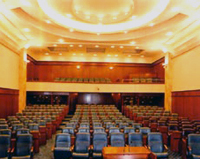 •PPD parliamentarians will not participate in Assembly's work, PPD Presidency decided at its session on Friday. "I was indeed aware that our people, regardless of their national or religious affiliation, have the ….will to respect it and to allow its implementation bring the benefits, President Crvenkovski said Thursday at a reception in Ohrid villa Biljana regarding the fifth anniversary of Framework Agreement. The proposed economic ministers in the new Government announced more competitive products, new hospitable business environment, private sector development, and cutting of public spending and taxes. •President Crvenkovski organizes reception on fifth anniversary of Framework Agreement in Ohrid villa Biljana. Mandatary Nikola Gruevski in his Tuesday interview with A1 TV said he understood the discontent of BDI for not being part of the Government. He explained that he worked in accordance with the Constitution and the laws. •BDI announces full-day blockade of Parliament. Experts from the public gasification company Igdas of Istanbul are going to develop a feasibility study for building a secondary gasification network in Skopje. VMRO-DPMNE Executive Committee adopted Monday a draft list of candidates for a new Government of PM designate Nikola Gruevski. •Mandatary Nikola Gruevski expected to announce new Government later today. Macedonia has made considerable progress on its way to becoming a stable and democratic multiethnic country, reads the joint statements of US Ambassador Gillian Milovanovic, EU Ambassador Erwan Fouere, OSCE Head of Mission Carlos Pais and NATO Brigadier General John Durance on the occasion of the fifth anniversary of the Framework Agreement. They expect the consolidation of the civic and democratic principles set out in the Agreement to continue. Prices of goods and services for personal consumption measured through the index of the costs of living in July this year increased by 3.8 percent from July 2005, the State Statistical Office stated. Power production is at risk of stopping, sources from ELEM told A1 Television. A1 reported that the continuous production of power might be interrupted due to the debt of some 40 million euros of the state-run power transmission company (MEPSO) to ELEM (the company running Macedonia's power stations). According to the information of A1, ESM-Distribution too, which is currently cutting off debtors, has unsettled liabilities to MEPSO. Following the company's split-up, it was agreed that the three companies should split the money too, but this has not yet started working. The US citizen of Macedonian descent, Gligor Tashkovich, will be responsible for attracting foreign investments in Nikola Gruevski's Government. Following a few phone conversations with the mandatary, AMBO's executive vice president sent Gruevski a letter a few days ago notifying him that "the proposed cooperation is an exciting challenge to him and that he accepts to be part of the new Government." •Official delegation to lay flowers at Karpalak commemorating 5th anniversary of slaughter of 10 Macedonian army members. 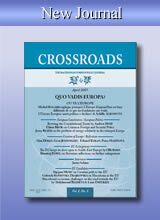 Macedonia reduced its debt to foreign creditors. Even though the cut is negligible, experts find it important because it comes after a lasting upward course of taking loans. The last official data from the Central Bank released a few days ago show that Macedonia's foreign debt by 30 June inclusive totals 2.12 billion dollars, which is a drop of 53 million dollars from end-2005. •BDI to take to the streets in protest against government. People should understand that Macedonia will always be populated by Macedonians, Albanians, Turks, Roma, Bosniaks, Vlachs, Serbs, and multiethnic life should be built in that spirit, says Mandatary Nikola Gruevski in the interview with Deutsche Welle - Program in Macedonian Language. 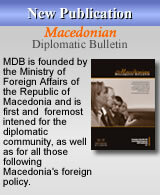 In 1903, the Macedonian issue attracted the attention of diplomats and international public opinion. 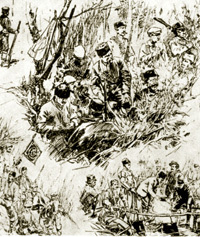 The event that contributed to the affirmation of the Macedonian cause was the Ilinden Uprising, the Macedonian revolution from August 2, 1903. The Ilinden Uprising from 1903 represented the surfacing of the century-long strive of the Macedonian people, suffering under the five century long rule of the Ottoman Empire, to reach the pedestal of freedom. "The Ilinden epic is of immeasurable significance for all of us. It has created a historic myth that is deeply impressed in the heart of each Macedonian. Today's Macedonian spiritual and cultural heritage almost entirely rests upon the pillars of the values created at those times. 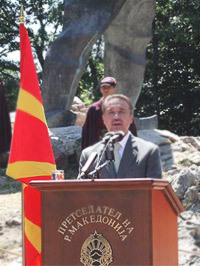 The Ilinden fighters are one of the cornerstones both for the constitution of the Macedonian nation and for the establishment of the modern Macedonian state"..., President Crvenkovski said in his speech at Meckin Kamen Wednesday.